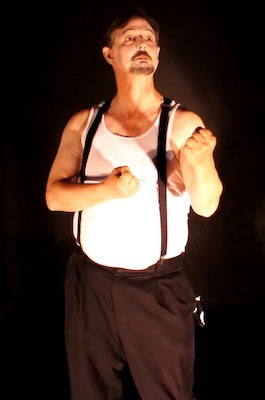 Stephen La Frenie has been performing and teaching physical theatre for over 30 years. His training includes acting, with Gary Pogrow, Ecole Jacques Le Coq, Mime School Unlimited, and Tony Montanaro. He founded the Graphic Mime Theatre in 1985 and developed one of the most comprehensive and unique physical theatre programs taught in schools today. Stephen has found fulfillment in teaching young people to realize their potential.He has performed live and on television with various companies such as Nelvana Productions, The Canadian Opera Company, Cirque Soleil, Meta-Physical Theatre, Faustwork Mask Theatre, and Cascade Theatre. He has worked across Canada, to Spain, Australia, France, Hungary, Jamaica, and Haiti.Stephen’s outreach work also spans thirty years, including workshops for emotionally and physically abused teenagers, adult prisoners, the Portage School for Young Offenders, physically and mentally challenged students and actors. Stephen has been traveling to Jamaica and Haiti with Third World Awareness since 1996. His most recent appearances have included, “The Last Man on Earth” with Dora award winning company, Keystone Productions, Meta-Physical Theatre’s Commedia production of “Fool’s Gold” and Faustwork Mask Theatre’s production of “Mask Messenger” which continues to tour across Canada.